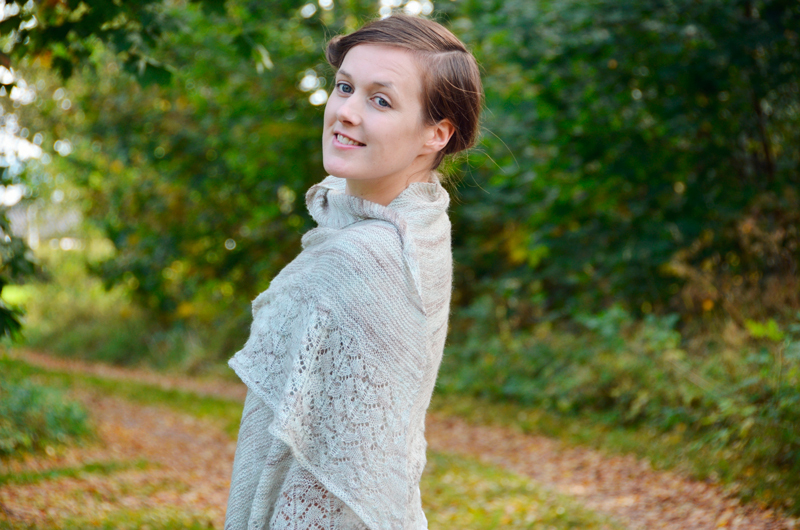 Ashling is a lovely and lightweight shawl to keep you both pretty and warm. 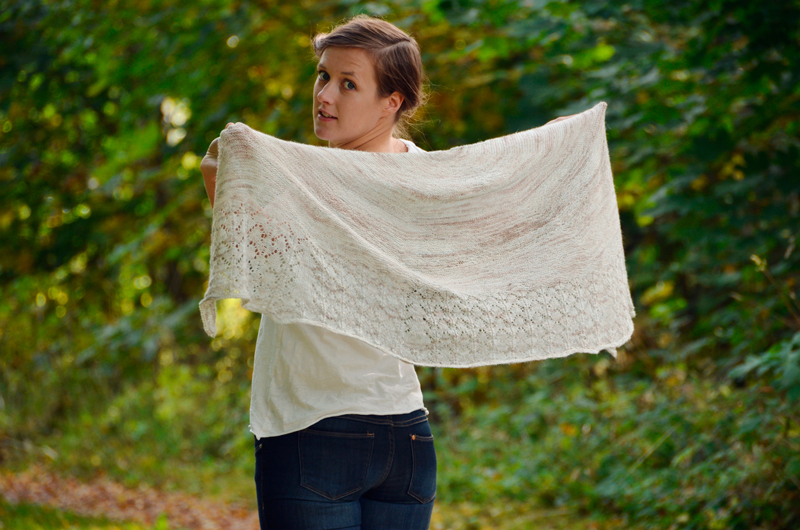 It has a little lace, a lot of garter stitch and two sizes - just pick up the one you have enough yarn for! Yarn: 1 (2) skeins of Merino Lace by Viola (100% merino; 825 yards [754 meters] per 115g). Approx. 800 (1400) yards [730 (1280) meters] of lace weight yarn. Needles: US 4 [3.5 mm] circular needle, 32” [80 cm] long or longer. Finished measurements: 59 (79)” [150 (200) cm] wingspan and 16 (25)” [40 (64) cm] at deepest point. It's been a loong, loooong time since the last post... No Advent Calendar this year, but at least there's something new! 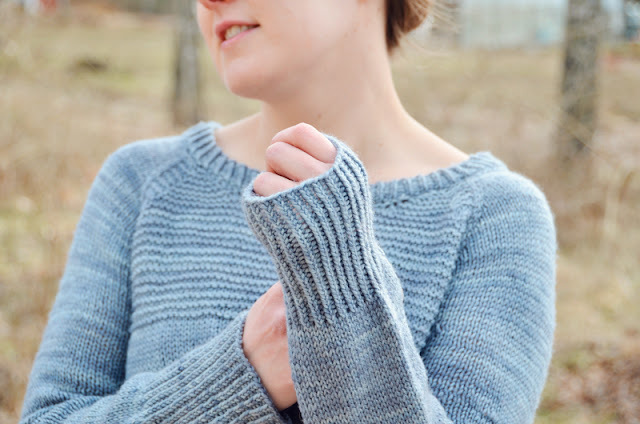 A lovely little collaboration with Le Chat Qui Tricote. 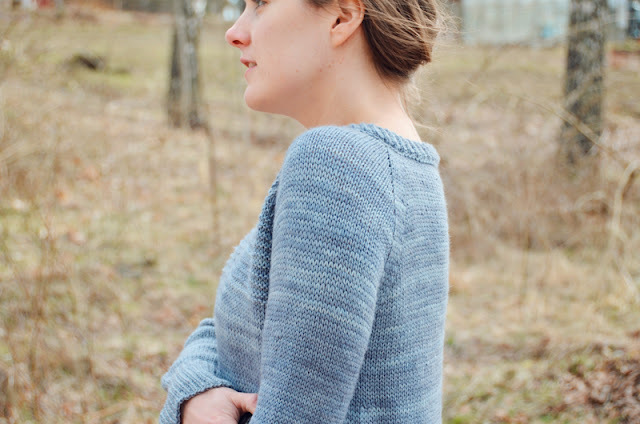 Snug is a sweater with small and lovely details, texture with a twist. 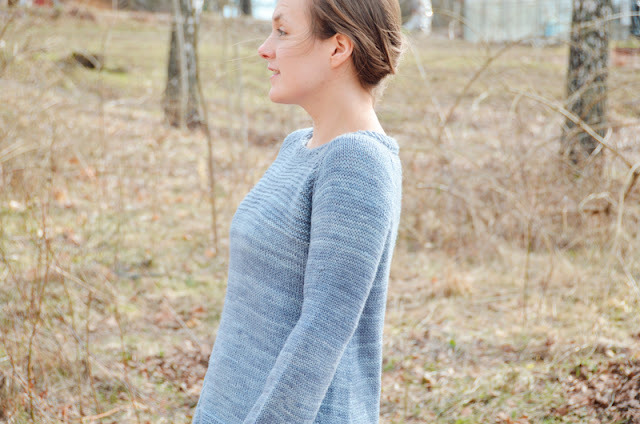 This sweater has an easy fit with subtle shape and slim sleeves. 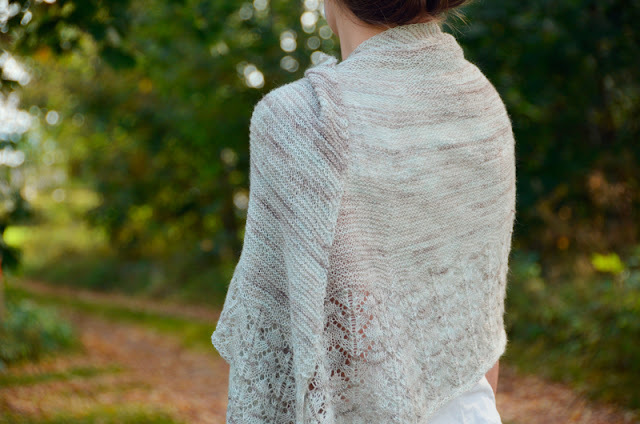 The lovely and long-lasting yarn will make it a garment you’ll love for many years to come! Designed in collaboration with Le Chat Qui Tricote. 1160, 1280, 1400, 1530, 1650) meters] of light sport weight yarn. Finished chest circumference: 30 (34, 38, 42, 46, 50, 54)” [75 (85, 95, 105, 115, 125, 135) cm]. 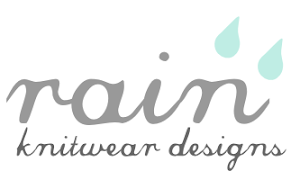 The sweater is intended to be worn with no ease to a small amount of positive ease. And there will be at least one little Christmas treat for you later this month, so stay tuned. 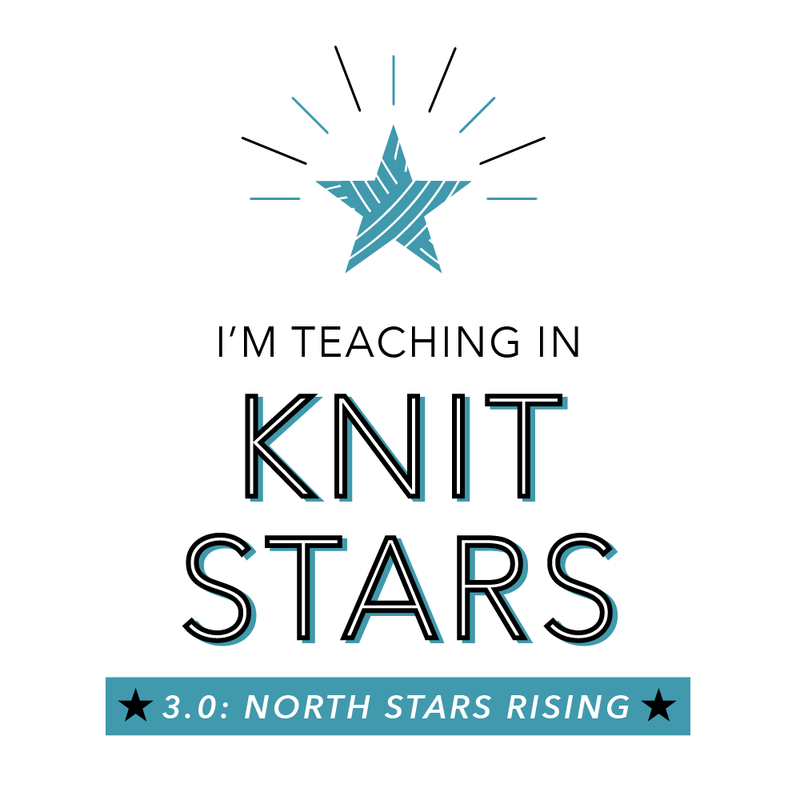 But let's finish all the gift knits first, shall we!